There’s no denying that OnePlus devices are some of the favorites amongst enthusiasts and third-party developers. 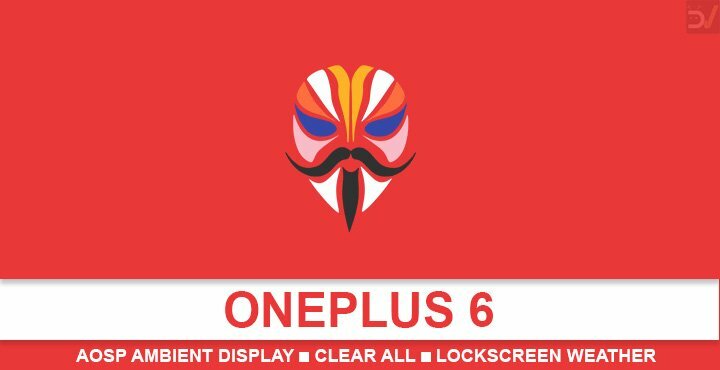 We’ve seen so many mods and ROMs for previous OnePlus devices and it would be safe to assume that the OnePlus 6 will also enjoy the same love. The device recently got an official Oxygen OS 9.0 update that brought Android 9.0 Pie to it. Already, we’re seeing mods for Oxygen OS 9.0 coming out and we hope they keep coming out. This new mod brings lockscreen weather to the OnePlus 6 like on the Google Pixel. It also adds the AOSP Ambient display which you can choose to keep always on. 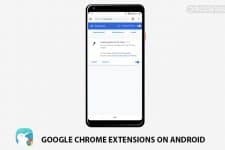 Before this, we’ve seen a OnePlus Launcher mod that added the Google feed on the OnePlus launcher, giving users an option to easily switch between it and the shelf. It was the work of XDA Senior Members paphonb and Skittles9823. The new OnePlus 6 mod we’re talking about today is also developed by paphonb. Not only does it bring lockscreen weather and the AOSP Ambient display to the OnePlus 6, but also the AOSP clear all notifications button. The tint on the lockscreen wallpaper is also reduced after installing the mod. 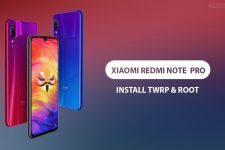 In order to be able to install the mod by paphonb, your OnePlus 6 will have to be on the latest Oxygen OS 9.0 firmware by OnePlus. Even though the Oxygen OS Open Beta for the OnePlus 6 is also based on Android Pie, the mod may not work with it. That’s because it manages to accomplish what it does by replacing the SystemUI APK with a modified version. Therefore, it is very likely that you’ll face incompatibility and issues that may arise due to it on other OnePlus devices or even with another firmware on the OnePlus 6. Of course, your OnePlus 6 will also have to be rooted via Magisk because this is a Magisk module. On the plus side, it won’t break the SafetyNet so you’ll still be able to enjoy playing Pokemon Go or watching Netflix or using Snapchat. Download the Magisk module from the links provided below. You’ll receive a file named paphonb-OOS-Mods-v1.3.zip. Launch the Magisk Manager app on your phone and tap pull the side menu drawer with a swipe from the left edge of your screen. You can also access this menu by tapping on the hamburger menu icon in the top-left. Go to the Modules section and tap on the floating + button at the bottom. It’s a yellow circle at the bottom as you can see in the screenshots below. Select the downloaded Magisk module file (paphonb-OOS-Mods-v1.3.zip) and it will be installed. Once the installation is complete, tap on the REBOOT button. When your device comes back on, the module will be activated. You should be able to see it in action right on your lockscreen which should now have a reduced wallpaper scrim. You may also notice weather information on the lockscreen right below the clock, next to the date. If you don’t see the weather information there, you may have to add the At a glance widget to your home screen first. The widget is included with the Google app so you don’t have to go looking around on the Play Store. Just tap and hold an empty space on your home screen. Go to widgets and drag and drop the At a glance widget to your home screen. Go back to your lock screen now and you should be able to see the weather information. At this point, you can remove the widget from your home screen if you want. When you go to Settings > Display, you will notice two Ambient display entries. One of them, the first one with the subtext Lift up display is the default OOS one. You’ll have to turn that off in order to get the other Ambient display working which is the AOSP one. While the AOSP Ambient display does offer to stay Always on unlike the Oxygen OS Ambient display, it doesn’t really stay on. It’s a little buggy, in other words, and isn’t quite as useful as it could have been. If you want an Always on display, you should give this Magisk module a try. Although, it has never worked for me on any Android Pie based Oxygen OS be it the Open Beta or the stable Oxygen OS 9.0. Other users have reported it to be working fine so you can try your luck as well.